The American Carp Society today launched a new website -- http://www.americancarpsociety.com. The organization, which hopes carp fishing will soon become as beloved in the U.S. as it is in most of the rest of the world, said the website will help secure the sport’s place in the American Great Outdoors by serving as a clearinghouse of information, images, and instructional videos related to carp angling in the U.S. 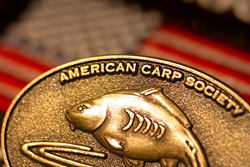 The American Carp Society promotes recreational and competitive carp angling and serves as a definitive resource for U.S. sport fishers with an interest in carp angling. We invite every American angler to make our website his or her first choice for exhaustive, authoritative information about carp fishing. A new website devoted to showcasing the thrills and fun of angling for Cyprinus Carpio, a hard-fighting freshwater fish better known as the common carp, is now live, the American Carp Society today announced. The website – http://www.americancarpsociety.com – promises an array of content that U.S. carp anglers will find both helpful and inspirational, according to American Carp Society founders Sean Manning and Wayne Boon. “Cyprinus Carpio is one of the largest fish in our waters – it can grow in excess of 50 pounds – and has extraordinary intelligence, which are some of the reasons why fly fishermen are becoming big fans of this fish,” said Manning. Posted at the new website is an extensive library of fishing and nature images, videos, articles, and charts, Boon said. Much of it is publicly available and free of charge. However, the most invaluable content is available only to members of the American Carp Society, Manning indicated. Membership also permits browsing the organization’s online store where visitors can shop for exclusive American Carp Society-branded merchandise along with a range of carp angling-related products and resources, Manning said. Additionally, members are able to participate in forums where they can pose questions and share information and insights. “Some of the top U.S. carp anglers will be exchanging thoughts,” said Boon. Being released in conjunction with the launch of the website is the American Carp Society’s annual, members’-only hardcopy publication, The American Carper. More details about The American Carper and information about how to join the American Carp Society are available at the website, Manning said. Carp fishing is a popular sport in most of the world, and has been gaining momentum in the U.S., said Manning, noting how catch-and-release anglers everywhere delight in the amount of line play and patience needed to successfully land this particular aquatic quarry. He contended that catch-and-release carp fishing in the U.S. is growing not only in popularity but also in terms of prestige. Manning said carp anglers come in all persuasions: male, female, adults, kids; people into fly fishing, shore fishing, boat fishing; experienced, novices, pleasure fishers, competition fishers, you name it. The Coppell, Texas,-based American Carp Society was founded in 2002 by lifelong anglers Sean Manning and Wayne Boon to serve as a definitive resource for U.S. sport fishers with an interest in carp angling. The organization also was created to promote carp angling as both a recreational and competitive pursuit in the U.S. Membership is open to all with an interest in carp fishing.